After crafting one of last year’s most acclaimed films with his long-gestating Lincoln, it looks like we may have to wait even longer for the next work from Steven Spielberg. The helmer was hard at work developing an adaptation of Robopocalypse, set to star Chris Hemsworth and Anne Hathaway, but when he wanted a reconfigured script, he put the project on the backburner. We then got news earlier this summer that he would instead be taking on a previous David O. Russell project, an adaptation of American Sniper starring and produced by Bradley Cooper. We’ve now got the unfortunate update from that the director, along with DreamWorks, have pulled out of the WB-backed film. The only reason being given is that he “couldn’t square his vision of this movie with the budget” and that he still hasn’t found a replacement project. Cooper, however, remains attached and will be playing Navy SEAL Chris Kyle in the film based on his autobiography, with a new director search commencing soon. Scripted by Jason Dean Hall (Spread), the best-selling novel told of Kyle’s experience in the military and how, during this time, he came to set the record for most sniper kills by any American, the number being anywhere from 160 to 255. 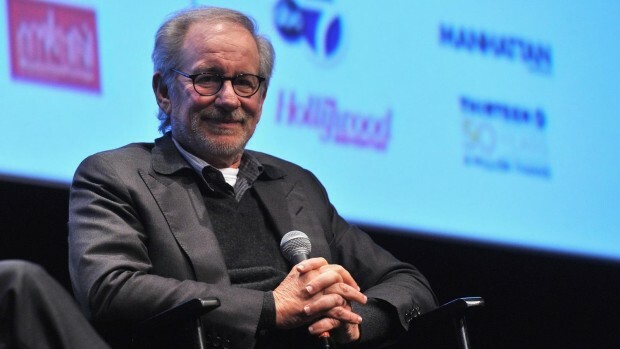 There’s no word yet if an early 2014 production start is still in the cards, but stay tuned on who comes aboard the film, as well as where Spielberg will head next. Are you disappointed this won’t be Spielberg’s next film?